Duration: 58 Min. 54 Sec. 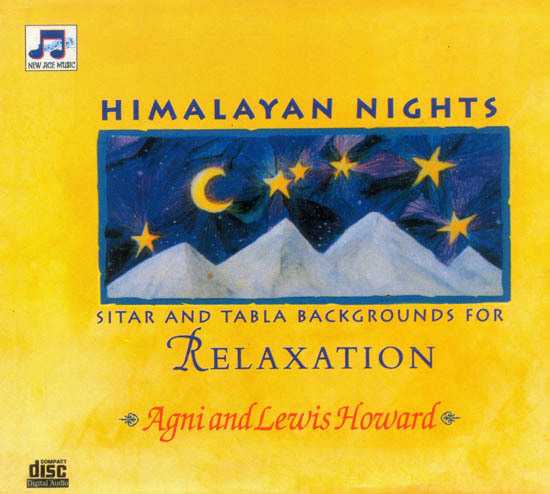 Himalayan Nights seamlessly Blends Together Sitar, Tabla, And Tamboura. The Music Will Change Your outer-And Inner-Environment, Bringing You A Lasting Feeling of Peace And Tranquility. The music on this recording is an original composition by composer and performer Agni, based on the Indian musical system called a raga. Literally translated, raga means “to color the mind.” In ancient India it was widely known that music has within it the ability to affect-both positively and negatively-our moods, feelings, and outlook on life. Traditionally, the musicians to capture the essence of that moment in time. For all of the albums in this series, Agni has adapted and extended this ancient concept for contemporary life. Each recording in this series was composed and performed to help you fully feel and experience the benefits of the specific quality around which the music was created. Music is a tool for inner transformation: when used consciously, it can profoundly affect your thoughts and feelings. You can experience the many benefits of this music by simply playing it as background music or “mood” music. Step 1: Concentration. Put your whole mind on the music. Listen completely, with your full attention, not allowing the mind to wander. If you catch yourself drifting, gently bring your mind back to the music. Step 2: Absorption. Feel the music vibrating in every cell of your being, allowing it to wash over you and through you. Step 3: Receptivity. After the selection is over, take some time to observe and feel how the music has subtly changed your mood or thoughts. Gently hold yourself in that vibration, allowing it to relax, uplift, and transform you. has been performing music since the age of 12. For the past 25 years, he has studied with the renowned composer and spiritual teacher, Donald Walters from whom he learned the inner art of music. Currently, Agni directs the World Brotherhood Choir, which performs regularly throughout Europe and the United States and has sung for Pope John Paul II. Lewis Howard is an accomplished musician, singer, and percussionist. In addition to having toured the country extensively as drummer, he is also a talented and highly sought after tabla player.